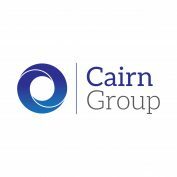 With 33 hotels and over 70 unique conference spaces across the UK, Cairn Hotel Group are on hand to ensure that your next event is a seamless success, in a space that suits you. As a family-run hotel group with over 50 years of experience, going above and beyond for our guests is ingrained in both our people, and our diverse range of hotels, bars and restaurants. For this reason, coupled with our inherent passion and unique approach to a fast-moving industry, we’re confident that our guests will always receive a first-class experience. Our professional team are well versed in creating tailor-made business solutions, so whether you’re looking to host an exciting product launch, an innovative corporate event or an inspiring training series, we will ensure you have the perfect environment and service to make your event a success.